How meaningfully structuring and planning his day helps investment banker-turned-entrepreneur Nibhrant Shah live his best life. I started my life as an investment banker in New York and London. While I always knew that I wanted to be an entrepreneur, it was the experience as an investment banker that helped me work harder, be more disciplined, and understand business from a financial point of view. Yet India was where I always saw myself. When I saw the Indian economy expanding, I decided to return home to start my own entrepreneurial journey. But whether it is investment banking or running my own business, I know that every industry has its own stressors and low points. As an entrepreneur, you are practically always on. That is a fact. Whether you are at a business meeting or a party, you are always working, you are always thinking about your business. But as an entrepreneur, if you go through the lowest of lows, you also go through the highest highs and therefore, managing your outlook becomes important. It is an incorporation of meaningful structure and planning to my day which has helped me live my best life as an entrepreneur. This involves doing things like ending my day by summing up everything that went right and wrong, and prioritising how to start the next day. When I am taking stock of my long and busy days, I think about the positives and negatives, and try to direct my focus on the positives rather than brooding too deeply over the negatives (something we all tend to do). The first is feeling a sense of passion and love for what I do so that I am convinced that all the effort I’m putting in is worth it. I also set up small, achievable goals or milestones through the month, quarter or year that bring a level of energy and encouragement. It is, honestly, these small things that keep you going. Second, I believe in building a team I love to work with and working only with those who understand the ethos and culture of my company. When I interview people, I am constantly trying to understand their personality and whether they share the values we prioritise at the organisation. I have found that in many cases it’s the character and personality of a person which count more than their skill or expertise, and that is how I build my team. The last is the importance of rest. If you are not able to enjoy your life, then you will not enjoy your work either. I have begun to sleep for six to seven hours a night, a big improvement from my investment banking days when I only slept for three to four hours. Spending time with yourself, your friends and family is equally important. They are the non-negotiable aspects of my life and I ensure that they are given the right amount of time and energy. 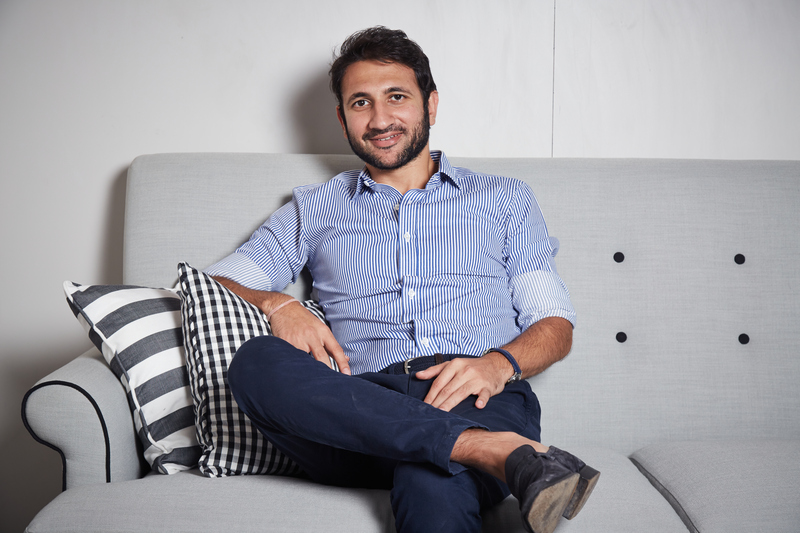 Nibhrant Shah is Founder and CEO of Isprava, an organisation that designs and constructs sophisticated luxury holiday homes for discerning individuals in Goa and the Nilgiris. Prior to this, Nibhrant also founded Themis, an accounting, taxation and human resource management firm and invested in start-ups such as Snackible, a leading healthy snacking company and StyleCracker, a company which has grown to become India’s largest styling platform. Nibhrant studied Economics at Northwestern University and worked as an an investment banker for HSBC in New York and London before he moved back to India. Nibhrant spends his time reading, has a wide range of hobbies and participates in numerous sports including judo, squash and golf. He is extremely passionate about horse riding and owns a horse too.